This poster advertised the first Polish language “Farmers’ Day,” held in 1911. Photograph courtesy of John Skibiski. 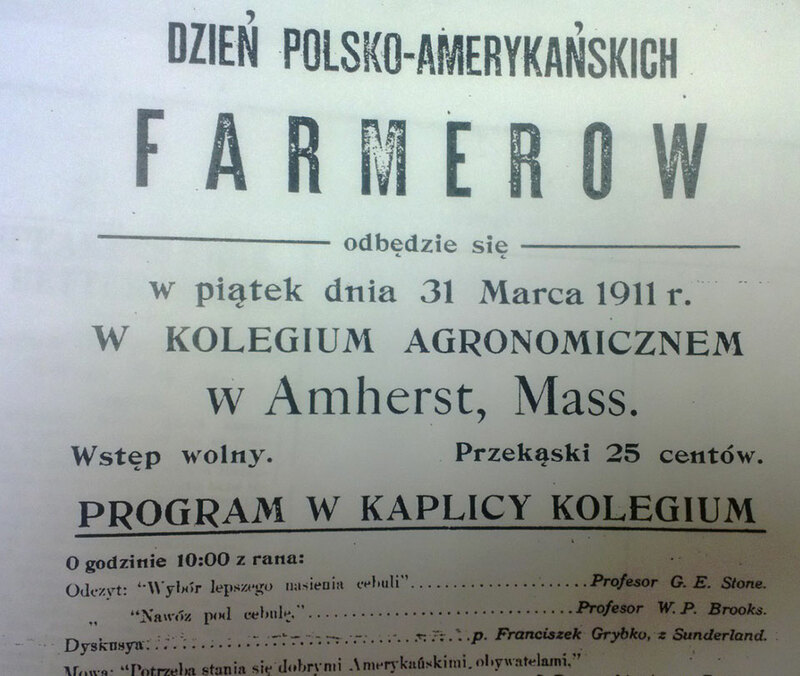 Polish Farmers' Day was held on the campus of Massachusetts Agricultural College on March 31, 1911 and is believed to be the first Polish-language educational extension event for farmers in the United States. It preceded the founding of the national Cooperative Extension Service by three years and evolved into a tradition of Polish-language and then English-language extension field days held for Massachusetts farmers since then.